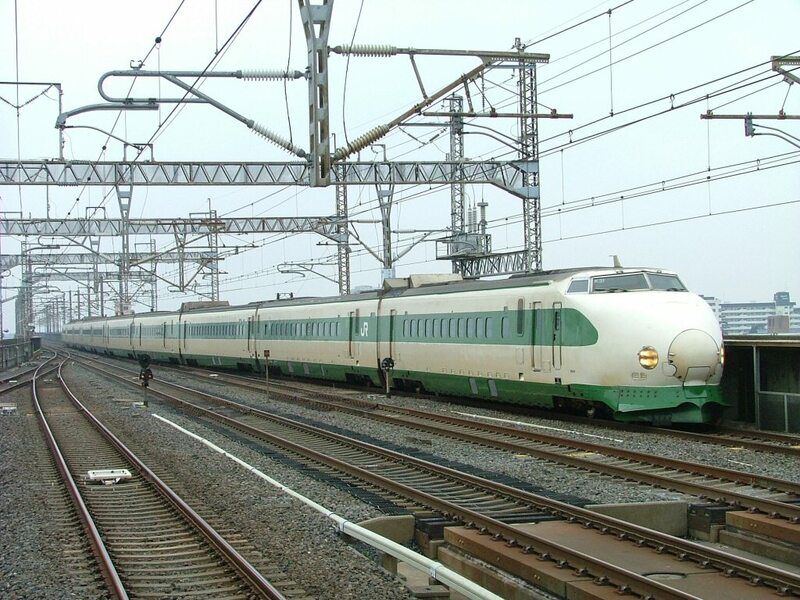 The 200 Series is a Shinkansen-type electric multiple unit developed by the Japanese National Railways (JNR) to become the first Shinkansen to run on its new Tohoku Shinkansen line in 1982. 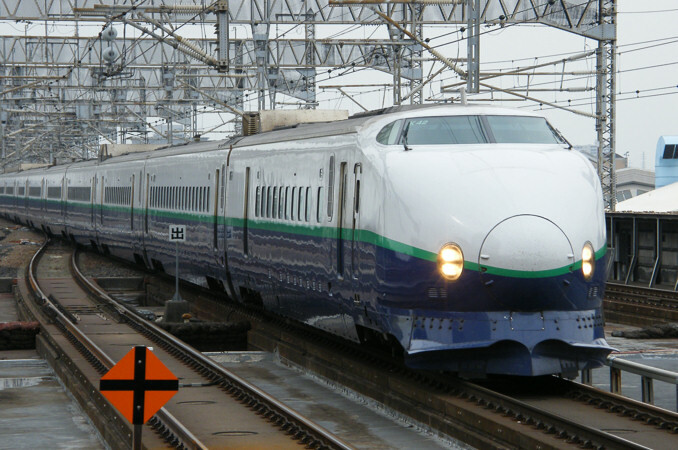 Though similar in appearance to the 0 Series used on the Tokaido Shinkansen, the 200 Series is immediately distinguishable by its large snow plow on the front and green stripe on the side. One of its distinct features is its body design. All equipment such as the motors and compressors underneath the train are sealed inside the cowling to protect them from the snow. Special air intakes that separate the snow from the air to prevent mechanical trouble are another distinct design feature. With the introduction of the sharp new 100 Series to the Tokaido Shinkansen in 1984, a new front car nicknamed the "Shark-Nose" was built for the 200 Series. 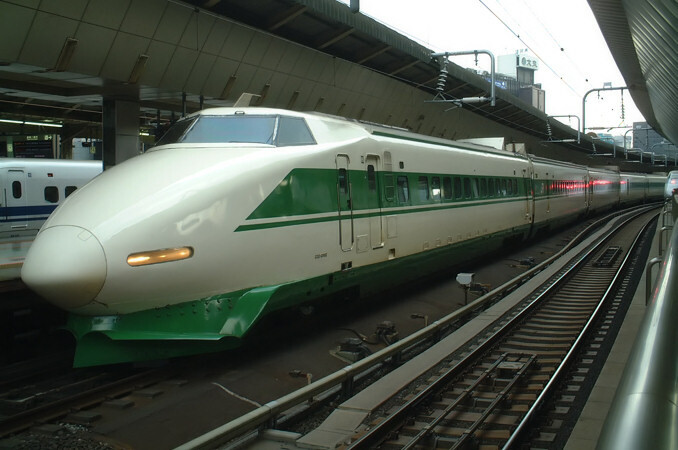 While the 200 Series served as the symbol of the Tohoku Shinkansen even after the fall of the JNR, they were quickly replaced by new JR designs in the mid 90's. A few were given some updates and a new paint scheme but with the introduction of the E5 Series, they have been taken out of regular service permanently. A 200 Series end car in original colors is preserved at the Railway Museum in Saitama City.